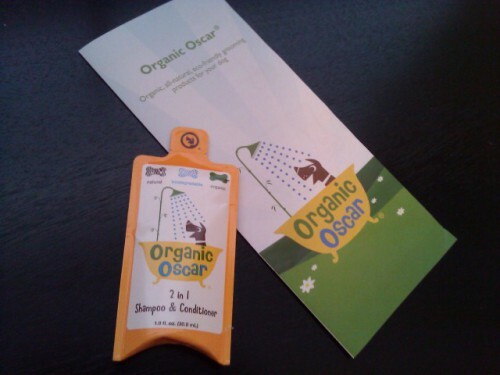 We were thankful to receive a sample of Organic Oscar’s 2-in-1 Shampoo and Conditioner, which normally comes in a large orange, bone-shaped container. 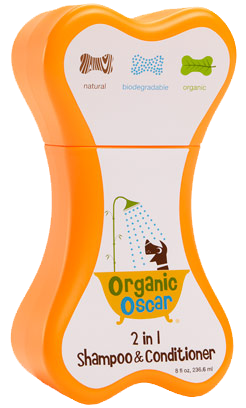 All of Organic Oscar’s shampoos are made with completely natural and biodegradable ingredients, with no traditional soap. I can’t put too fine of a point on that- While there is no “soap” in this product, lathering up Scribbles with this stuff was completely effortless. 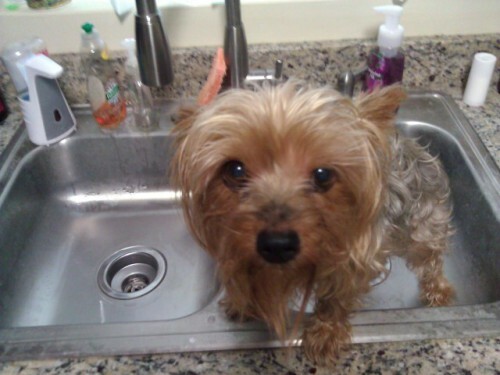 Are you SURE I need a bath? 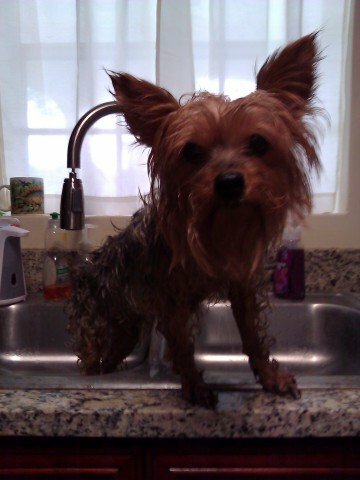 There are two special features about the Organic Oscar 2-in-1 Shampoo and Conditioner formula that left a big impression on me: The shampoo smells amazing and it rinsed off my Yorkie pal instantly. The gel smelled like I was washing Scribbles with a freshly peeled tangerine, and it “sticks” for a little while, which is pretty cool. Traditional soaps and shampoos take extra time and work to rinse off Scribbles’ long hair, and she hates getting water anywhere near her face, so I was relieved to see the shampoo and conditioner combo immediately wash off of her. I appreciate the silky, soft and citrus-scented dog, while Scribbles enjoys the feeling of being clean as she tears through our office in her “I’m happy and bathed so I have to run and roll on the carpet like I’m on fire!” routine, so Organic Oscar is a win-win for us. I’d definitely recommend this stuff to anyone who wants to make bath time easier for the two of you, along with the excellent bonuses of sweet scents and a silky coat afterwards. Kudos to you, Organic Oscar! What Happens When You Merge a Dog With a Spider? The Animal Video of the Day!!! Potty Pads Are SO Last Year, Try A Fresh Patch Of Real Grass Instead!